One of my besties came to me with a handmade Christmas gift request. It sounded like something I could execute and spared me from coming up with a gift idea on my own. I said yes. 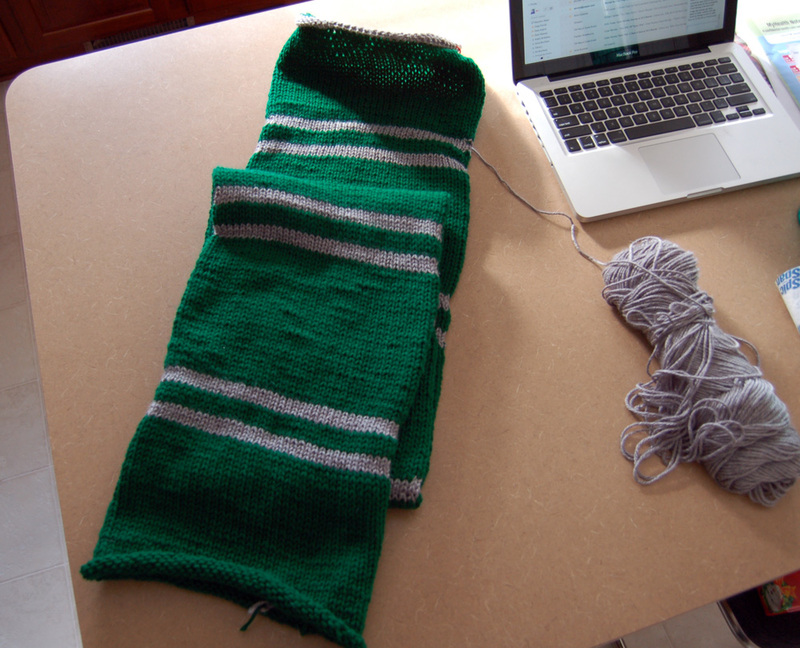 Ladies and gentlemen, the Slytherin Scarf! 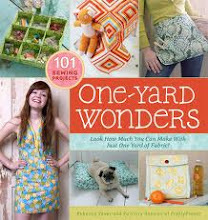 I'm using this pattern by Rachel Alexandra. Now, I know very little about Harry Potter. I've seen the movies and like them, but have never read the books. Please don't hate me. I wanted to make sure and get the colors as correct as possible, which involved several photos taken in harsh craft store lighting and a flurry of texts with my bestie. Finally a light bulb went off in my mind, and I sent her to the websites of the yarn I was looking at to see the what the colors really looked like. Success! With the colors and pattern chosen, it was time for me to get down to business. I am not what you would call an avid knitter. I know how to knit and enjoy it, but really only get bitten by the knitting bug during the colder months. I am also slow and knit mostly flat things. This pattern is done in the round, which I've only attempted twice before with mixed results. After a few fits and starts (including one instance where the scarf ended up being a whopping FOURTEEN INCHES WIDE), I finally got the hang of it. A shot at its current length. I'm working on the 7th set of stripes at the moment. My bestie is a petite flower, so I'll probably end up making it a bit shorter than the one from the original pattern. She gets to try it on this weekend! Hope she likes it. I kid. I've sent her progress photos and she loves it! She's already said that she might not let me take it home and finish it. She's just going to wear it while it's still on the needles. In other news, Ed spent a couple of hours helping me spruce up my blog a couple of days ago! I am so lucky to have help, because there's no way I could make it look so nice on my own. I'm really happy with the results! Ooh, one more thing. 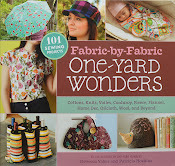 I'm currently participating in a link up with Misty over at Across and Down a Little Bit. She had the brilliant idea to count up to Christmas by linking up peoples first 25 blog posts ever. It's been so fun to return to those posts on my blog, as well as visit other blogs that are new to me. Definitely go check it out and link yours! I AM SO EXCITED. I don't know if I mentioned that . . . Thanks!! I forgot to include the type and color of yarn I used (in case you want it for future reference). The green is Caron One Pound in Kelly Green, and the silver/grey is Caron Simply Soft in Grey Heather. I know, I know! I tend to be behind the times on stuff like that.